I have been facing extreme censorship and financial hardship in Australia. 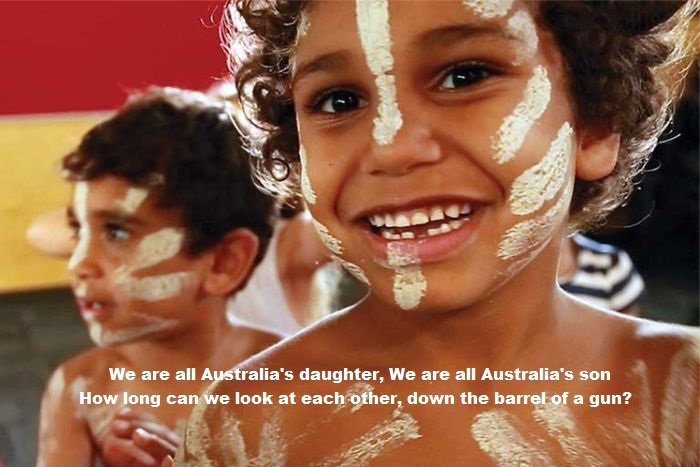 I have been writing to spread awareness nationally and internationally about the Aboriginal, Torres Strait Islander communities’ and refugees harsh life in Australia. I wrote many letters to the federal and state ministers about their awful treatment of Aboriginal people in the outback; and refugees in the detention centres. Due to my writings, I was intimidated and threatened by government authorities. In 2004 I was banned from my university for six months under a false accusation while I was making students aware of the government’s harsh treatment of its Aboriginal people and refugees. However, the University allowed me to sit for my final semester Business degree exams under the security. My house was searched by fifteen Victoria police members under a false accusation. When I started to make awareness internationally, the Australian government not only stopped me from getting a job, but they even stopped me from selling my house, which led me to file for bankruptcy. My passport was disappeared from my house, when I applied for a new passport I was told that I was an illegal immigrant. Obviously, the government stole my passport during the house search and deleted my citizenship details. My citizenship certificate no: ME9701311V, issued on 26/03/1997 has disappeared from the system; still, the Australian government hasn't given a reason. I wrote to the United Nations, and also to the other countries' leaders about the government’s cruel action. Due to international pressure, the government quietly reinstated my citizenship, without an apology. However, it has accomplished its goal; it has successfully damaged my character, removed me from my professional job, took my house away and brought me to the street. Ten years have gone by; still, I cannot find a lawyer to seek justice. Worst of all, the government has started to attack my health quietly, to get rid of myself to cover its wrongdoings. Basically, the government is chasing its losses; in fact, it is at a loss when it comes to dealing with me. For the last ten years, I have been raising awareness across the world of the Australian Government’s cruel action. It makes one wonder what the Australian Government would do for enlightening others about its undemocratic actions. I returned to Australia at the end of last year. Since landing in Australia I was isolated and my health has been targeted. The Australian Government wanted to achieve something radical, so it has isolated me from my relatives and friends through its propaganda. As soon as my citizenship was reinstated I applied for a passport and left the country; because, I did not want to take a chance. Between 2008 and 2017 I had lived a healthy life in many places around the world, and I did not need to see a doctor. Between 2008 and 2017 I lived in Canada, Germany, New Zealand, Singapore, Malaysia and Sri Lanka. However, since returning to Australia, my health has been affected. Last year I was forced to say in a youth hostel in Melbourne. I believe that members of the Australian intelligence service mixed something with my food while I kept my food in the common fridge at the youth hostel. Within a few days of landing in Australia, I was admitted to a hospital. A few months later I broke my right arm through a low impact injury, due to osteopenia. Since April 2018 I have consulted three doctors in Australia, and they all have confirmed that I would not have lost vitamin D so quickly unless something unusual had happened to my body. Notably, before arriving in Australia I spent two years in the North of Sri Lanka, soaked up plenty of sunlight while I was enjoying gardening at my parents’ house. Clearly, I had enough vitamin D in my body before I had arrived in Australia; it is very obvious to me that the Australian intelligence network has been targeting my health. According to my experience as a writer, the Australian Government’s primary focus is to keep its white dominant power. Anything else is secondary, including human development. Otherwise, the Australian Government would not have deleted my citizenship for raising awareness of the Aboriginal peoples' and refugees' hardships or attack my health for enlightening others. The Australian Government has been insulting education and knowledge by keeping me in isolation. Currently, I am undertaking postgraduate studies in Australia in the field of Human Resources Management. I have completed a business degree in Australia. I have travelled to more than 25 countries to gain an understanding of histories, cultures and political systems. I have read more than three hundred books to understand world history, cultures, languages, communism, capitalism, human development, global economics and international affairs. As a human being, I would not do to others what the Australian government has been doing to me. ‘I do not focus on the hardships that I face due to the actions that I have taken towards the injustice, but only on my dream that the injustice will turn to justice in due time.’ This is my own quote, and it gives me courage and strength to carry-on, no matter what circumstances or difficulties I am going through.